Chakra is a Sanskrit word meaning ‘wheels of light’. Each chakra represents a power point relating to a certain aspect of the human body. Chakras, according to traditional Indian’s methods of healing, are centres of energy within every body. They are like power points for the different aspects of our physical, mental and emotional wellbeing. 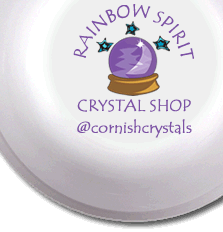 We have shown the corresponding chakra for each crystal on our website, which is the one that has the associated colour and or healing property.